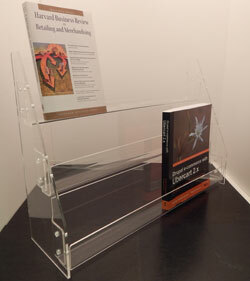 Acrylic card or CD rack is slatwall mountable. Three tier design and 21"w offers maximum display surface. 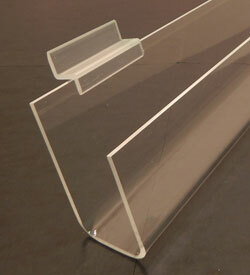 Clear acrylic construction draws attention to your product rather than the display.